Use EasySendy Pro Enterprise whitelabel solution for your own business! Setup and configure EasySendy Pro software on your own business domain name. Add your own brand identity inside the EasySendy Pro enterprise whitelabel solution. EasySendy Pro Enterprise Whitelabel customer get completely separate database from other customers of EasySendy Pro. EasySendy Pro Enterprise Whitelabel solution is deployed on highly secure and trusted PCI compliant servers. Backup of EasySendy Pro Enterprise Whitelabel servers are taken regularly and stored safely. 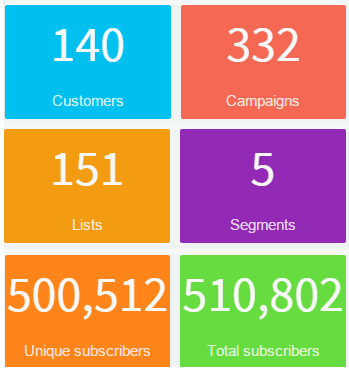 Easily access all information of your Email marketing services, at Whitelabel admin dashboard, customers, lists, subscribers, segments, campaigns being sent and so on. Dashboard also shows the growth of email subscribers, lists, delivery bounce and recent activity of your customers. Build your own email sending reputation by using own email sending domain name. Having own email sending reputation help improve email delivery over time with mailbox providers. 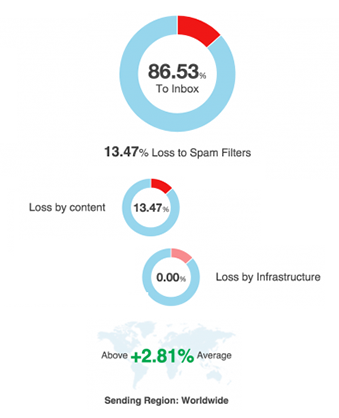 Send emails through dedicated IP pool and improve inbox placement with good email reputation. Get help on any issue with email deliveries from EasySendy Pro Enterprise Agency Plan Support Team. Yes EasySendy Pro Enterprise Agency Plan Support Team is obsessive about customer happiness. Need more detail about EasySendy Pro Enterprise Whitelabel Solution?